Beach type: Tropical mainland shores and barrier islands, often near river mouths.Throughout mainland; also Andaman and Nicobar and to a lesser extent, Lakshadweep Islands. 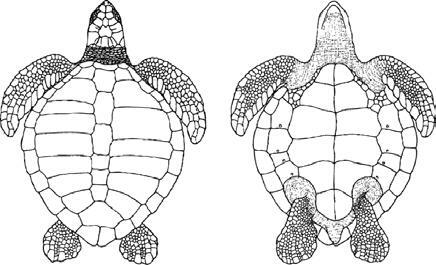 Carapace shape: Short and wide, carapace smooth but elevated, tectiform (tent-shaped). Other features: Vertebrals (centrals) narrow, so that first costal contacts nuchal scute. Track: 70 – 80 cm wide, light, with asymmetrical, oblique marks made by forelimbs, tail drag mark lacking or inconspicuous. We partner with this amazing non-profit organization to ignite the wonder of the next generation and to change the world, one rehabilitated sea turtle at a time. Want to know more about Sea Turtle Camp, including our latest teen marine biology summer camps, scuba camps and school group programs? Submit your info and get ready to dive in or download our free camp catalog now. 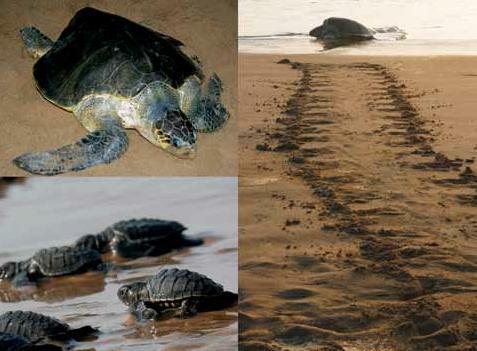 Sea Turtle Camp is a competitive academic based teen summer camp. Whether you’re excited to become a marine biologist, go scuba diving for the very first time, or you’re already a part of our family, you’ve come to the right place! Get the latest news, camp updates, events, & more.